You are the Bride. This is your story, and it deserves the love and attention! Blending the innovation of modern digital technologies with the classic beauty of conventional film techniques, we can create an eternal magic of your “once in a lifetime” event. Our artistic and candid approach seeks to capture every exciting moment, each heartfelt smile, and the supreme connection that sparks between you and your loved one. We are committed to deliver high definition wedding videos that are brought to life. From the stolen kiss to the joyous tears sliding down the faces of your family members, you’ll want to treasure those special moments forever – and you can with Fancy Bride. We’re absolutely passionate about our work, and want to bring our creative expertise to brighten your Big Day. I make sure our brides are super happy with us, during the whole process! I’m also the Social Media geek – I love to share our stories all over, so I can get the “wows and whoas” we often get from my brides. Don’t be surprised when you see me often times operating a video camera for the fun of it..
I’m there for you on your wedding day, coordinating the delicate details. I would do anything it takes to connect the camera with those meaningful moments. Well, you get the idea. I’m the traveler type of girlie, but wherever I travel to, I make sure I can find a good bowl of rice. My approach to wedding is virtually unique. I cherish the value of memories. I see your wedding as my next great adventure, and the first step toward an amazing story waiting to be told. I am fascinated by people and visually engaged by films. My main strength lies in my ability to document all of your candid moments that can’t be planned or staged. My promise is to give your day every single bit of attention it deserves. The memories from your wedding day will live on in your mind forever. I capture the details, the fun and the special moments of your wedding day in a fun , fresh and contemporary style. My films are intimate stories told in a timeless and poetic style, showcasing both the beauty of the settings and the personality of the couple that I am working with. I believe in real smiles, sincere expressions, and spontaneous emotions. Every shot creates an intimate and sincere space where you can be yourselves, even amongst the anxiety and chaos of the wedding. I want you to look at your wedding film and remember, even years down the line , the love and joy you felt on that day. Experience every moment of your special day, in such detail, that you will revive every emotion of the day and cry once more. Our experts are storytellers who creatively tell the story of your special day and present it in true cinematic form. We have the experience and imagination to capture the moments that are timeless and intimate. Our main strength lies in our ability to document all of your candid moments that can’t be planned or staged. We will capture the heartbeat of your Big Day and turn it into impressive visual timestamps. Capture the elegance of your timeless wedding, as you tie knot with your loved one. You will have candid moments to look back upon for years to come, from the time you start getting ready to say ‘I do’. Our style is simple yet composite. We use our years of experience and skills in cinema to not only record your wedding but to tell your story. 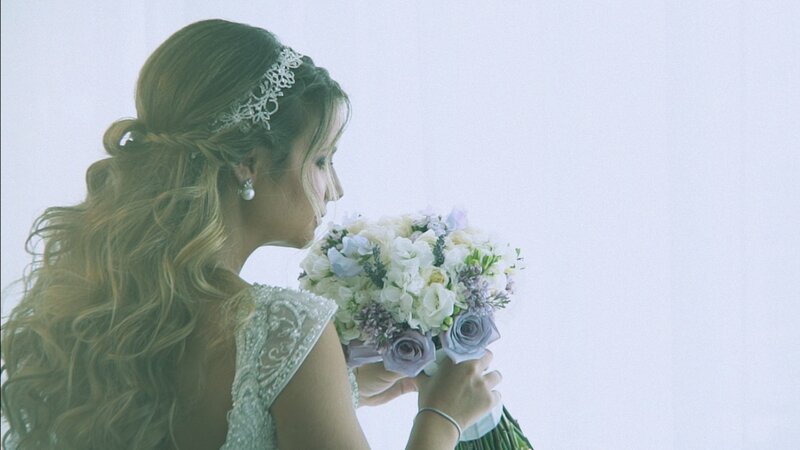 We interweave photo stills, sound bites, music, interviews, and film to revive for you, all the reasons that you said “I do”. We have the most sensational job in the world. Seeing your smiles on your Wedding Day, watching you dance with your family and friends and being caught up in the moment when nothing else really matters! 3-5 Min. in HD You can share it everywhere Edited over a song selection and a Long Unedited Documentary video. Guaranteed! Need it faster? SeeExtras for a quicker delivery. Add a second shooter for better angles and more coverage. Guaranteed! Get it faster, without compromising on quality. 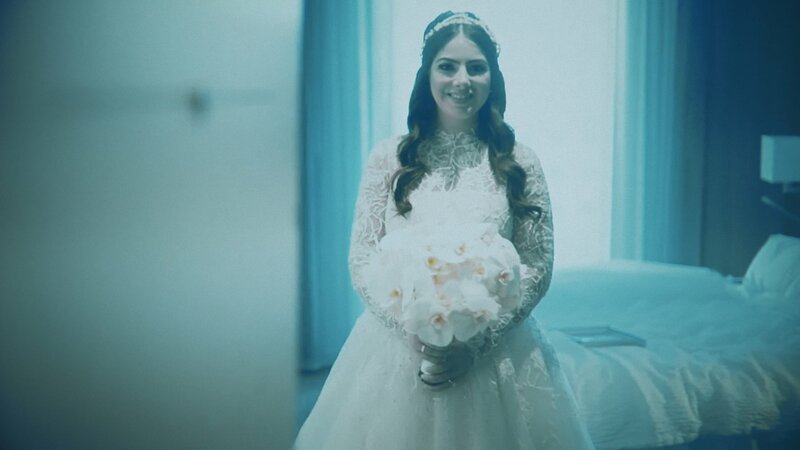 The vibe of each video is a reflection of your personality, a way to look back at such a blissful, momentary exchange and recall what it felt like to be you on that special day. We understand that a wedding is not a solitary event but a series of small events that only concludes in the ceremony itself. We’re blessed to witness all these miraculous moments, and we’re avidly putting all the effort to make it look as incredible and special as it could be. Let us tell your story… Cheers, from Glenda and Yaniv. Need to reach us ASAP? 2. Who's the lucky bae? 9. Let's talk about budget. Share your thoughts. We welcome honesty. 10. Interested in Photography as well? 11. Where did you hear about us? 12. What is your role in the wedding? 13. Which specific video in our website made you say: Wow! I love this? 14. We would love to hear the story of how you guys met? 16. Facebook user? We like to know who you are! Let's social - ours is Fancy Brides Studio. What's yours? 17. Any additional questions you would like us to answer?